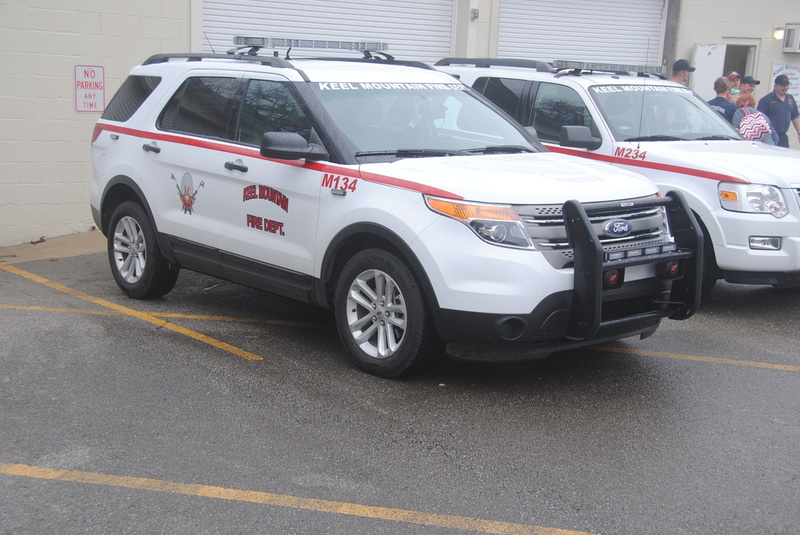 Our newest addition, Command 134 is a 2015 Ford Explorer with 4-wheel drive. It is equipped with, along with the EMT and his bag, additional equipment that may be needed at a call, such as an AED, scoop stretcher, backboard, stokes basket, and extra medical supplies. We have a LUCAS chest compression device in this unit. 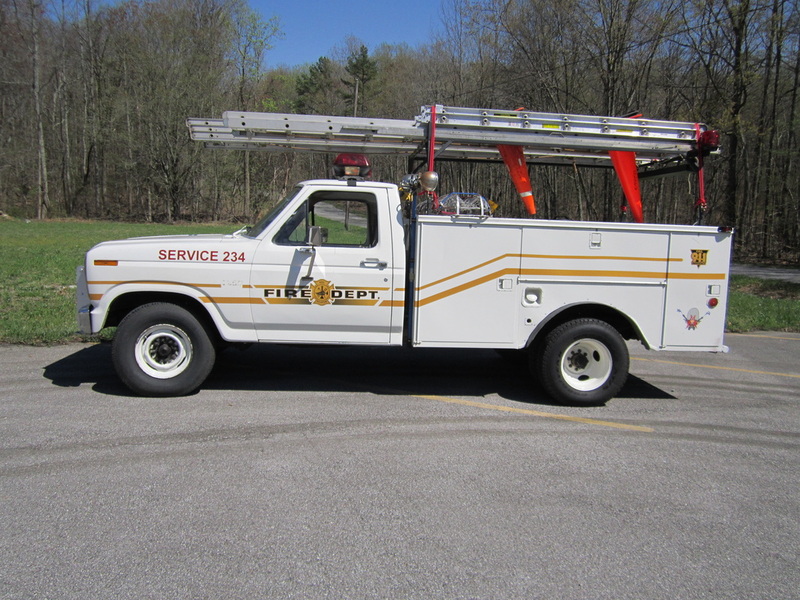 C134 also has an independent radio system installed in the rear and functions as a command post when needed. 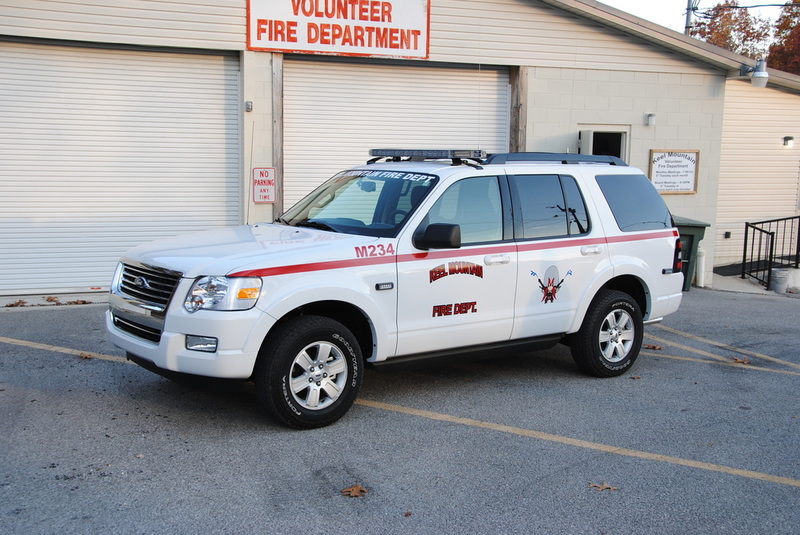 Medic 234 is a 2010 Ford Explorer with 4-wheel drive. It is equipped with, along with the EMT and his bag, additional equipment that may be needed at a call, such as an AED, scoop stretcher, backboard, stokes basket, and extra medical supplies.For our "winter" months, M234 has 2 sets of chains to get us where we need. It's abilities have been tested several times, both across the mountain and down to 72 when the roads were otherwise closed. M234 also has an independent radio system installed in the rear and functions as a command post when needed. 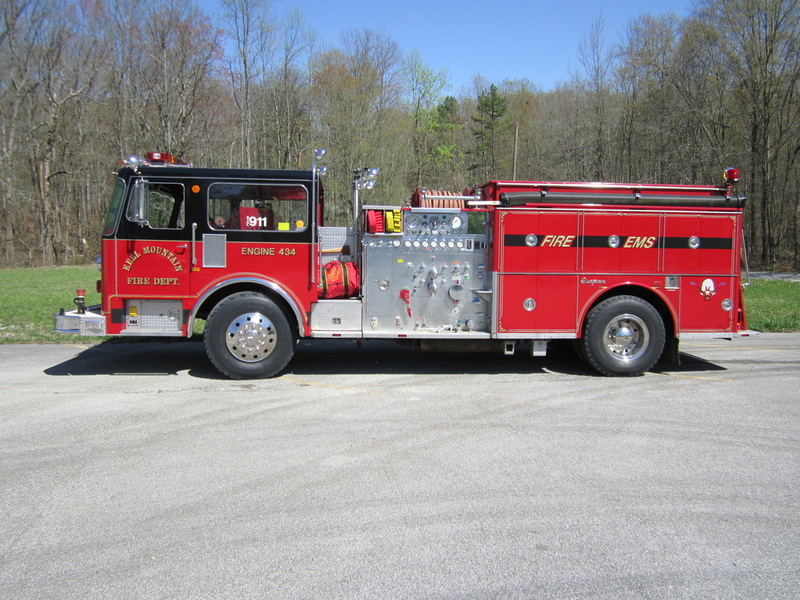 Engine 134 is a 2003 Freightliner FL80 pumper with a 1250 Gallon per minute Waterous pump and 1000 gallon water tank. This engine carries 1200 foot of 3 inch supply line to provide water to the truck and 1200 foot of various sized attack lines to fight the fire. 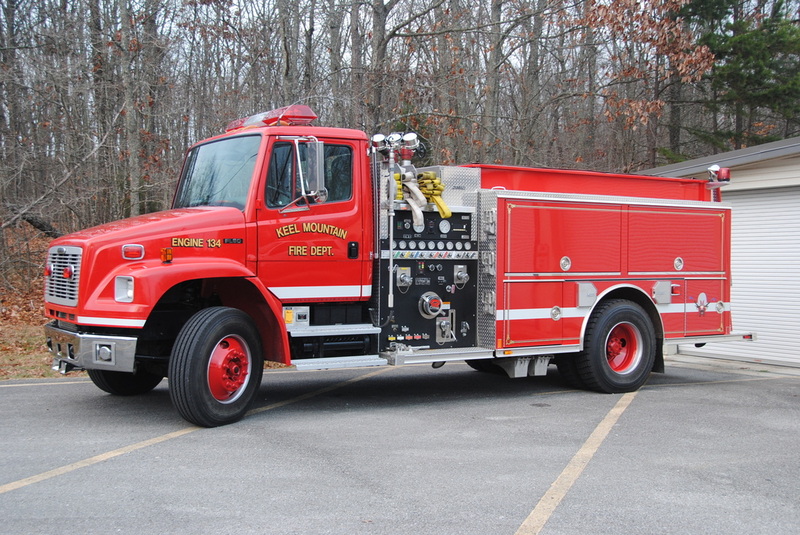 Engine 434 is a 1982 Segrave pumper with a 1500 gallon per minute Waterous pump and a 1000 gallon water tank. This engine was refurbished when it was purchased in 2000. This engine carries 1200 foot of 3 inch supply line to provide water to the truck and 1100 foot of various size attack lines to fight the fire. 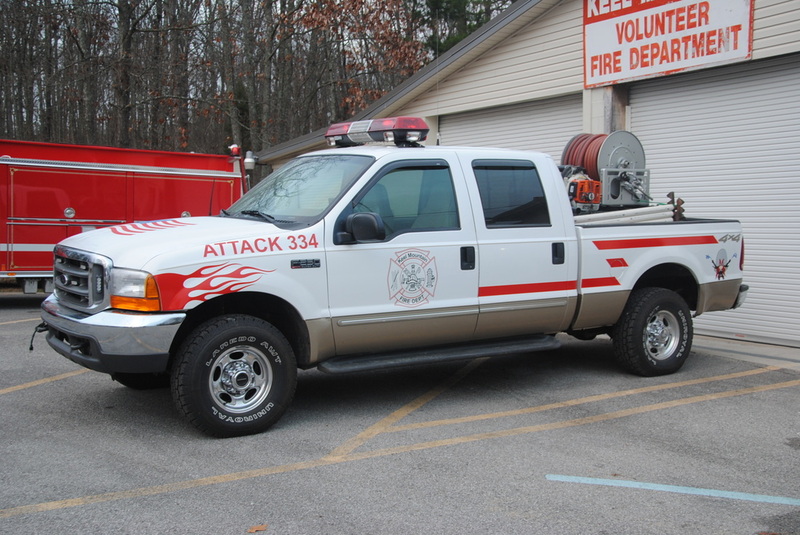 Attack 334 is a 2002 F-250 Crew Cab 4-wheel drive truck and is our primary response vehicle for brush, grass, and wildland fires. 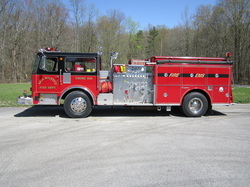 It is equipped with various rakes, shovels, flappers, and powered blowers needed to control and contain brush and grass fires. On board is a 250 gallon water tank with a 9 hp Honda motor and a 120 gpm Davey pump. It has a booster reel with 200 foot of .75 inch hose. 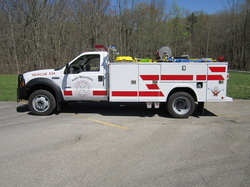 The independent pump allows us to perform pump and roll operations if necessary. 120 gpm Davey pump. It has 200 foot of 1.75 inch hose and a booster reel with 200 foot of .75 inch hose. Stokes Basket - Backboard - AED -12,000 pound Winch mounted in the front bumper. 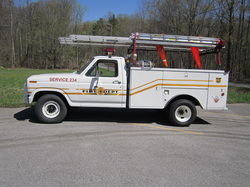 Service 234 is a 1982 Ford F250. It has a 150 gallon tank with a 9 hp Honda motor and a 120 gpm Davey pump. It has a 35 foot and a 24 foot extension ladder, a 16 foot roof ladder, a 14 foot Combination Ladder and a 14 foot Attic ladder. It has a 5,000 watt generator - chain saw - 4 MSA Self Contained Breathing Apparatus - 6 spare MSA bottles - Exhaust fan - 2 stokes baskets.